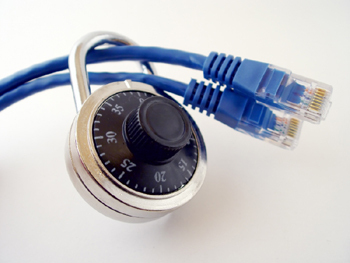 A VPN, or Virtual Private Network, is one of the most useful tools that you can have if you spend a lot of time online. Technically, a VPN is a group of computers connected to each other in a secure manner, as well being connected to a public network – the Internet. What it does is to keep users connected to the VPN secure while they go about whatever they do online, safe from prying eyes. “But, I have got nothing to hide,” you may think. Sure, the average user may not have that much sensitive information that they do not pay a lot of attention to security. But if you think about it, there are some online activities that involve data that you do not really want other people to see; and when it comes to “other people”, that usually means online criminals who want to take advantage of lax security. online banking – just imagine if some individual without scruples gets hold of your banking details and is able to use your account for himself! online shopping – whether you use your credit card or PayPal, the consequences of unauthorized access can be dire. private communication – this can be personal communication that should remain between you and the other party, or it can be work-related information that should not go beyond the circle of professionals the data is meant for. You may also be arguing in your mind that your home network is secure. Then again, what if you are away on a business trip? Or what if you spend time online at a coffee shop regularly? In those cases, you will be using a public connection, the level of security of which you really have no idea of. What then? That’s really when a VPN comes in handy. If you subscribe to a VPN service, no matter where you connect to the Internet, you will have the peace of mind that the data you send and receive will be encrypted to the degree that you will not have to worry about snooping. There are many VPN services to choose from, and your decision will depend on specific factors such as level of security and pricing scheme. In order to make an informed decision – that will avoid disappointment and headache – down the road, take a look at this comparison and find theÂ best vpn serviceÂ that will suit your needs best.